Thank you for visiting my page. Hello, my name Alice, but some may know me at Shui (mainly work). Can’t believe how time has passed, It’s been 8 years since I first started running. Since then I have completed a marathon, 5 halves and numerous 5 & 10km races and have experimented and explored various fitness workouts. This is a blog about me and my running and fitness. It all began in late October of 2007, one evening I ran home from work. I really needed a new challenge and therefore decided to take a leap out of my ex-manager’s books RUNNING! After my first run home I said to myself I will not run again. But that didn’t happen I did actually run again and the more I did it the more I loved it. My first official race was in 2008 the Sports relief 3 miles. 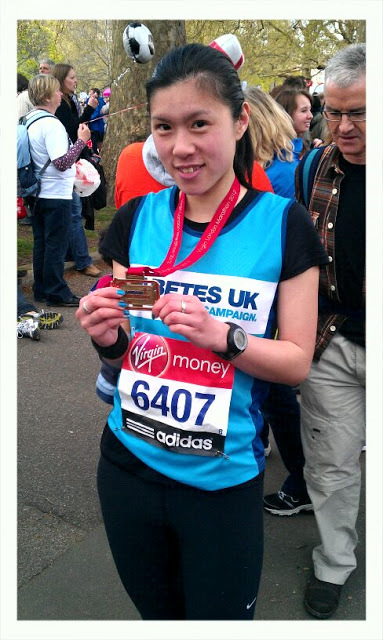 I was grateful my sister ran with me and managed to raise £500 for Sports Relief. After that I continued to run, beginning to enjoy it more and more and participated in a few 5 and 10km races. In 2009 I ran my first half marathon Sony Ericsson’s Run to the Beat. It was a tough race for me running in such heat and hills which I didn’t expect but thankfully I had the support of Stephen, my mentor and personal trainer. He pushed me all the way until I reached the finish line. I did it… ran my first half marathon in 1:58. Throughout 2010 and 2011 I took part in many different races. I was at that point in my life where I had never felt any fitter. So I decided to enter the ballot for the London Marathon. What are the chances of getting a ballot place and applying for the first time. Well it happened I got a place on the London Marathon. I couldn’t believe it, I was speechless. I had an eventful year of running in 2011 which included 3 half marathons, 2 of which were back to back. My fitness level was at a high which really helped me with my training for the London Marathon. 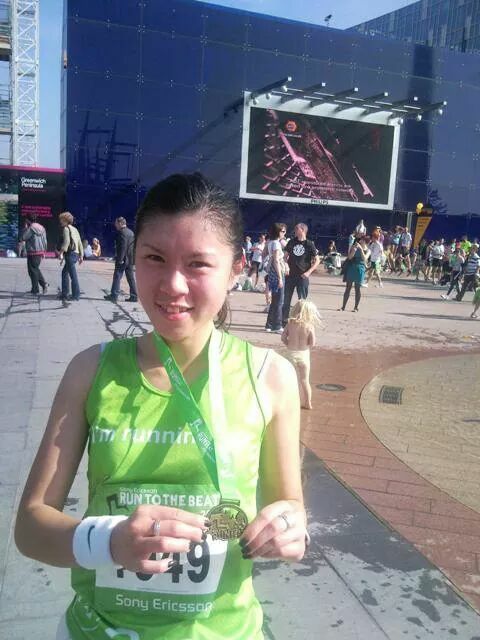 In April 2012 I ran my first full marathon. I had such an amazing and unforgettable experience and loved every minute of it. Throughout my running I was lucky enough to find a big running community amongst friends and colleagues. Stephen was among them he was my mentor and the person that got me into running. He ran with me on my first run home and always shouted out words of encouragement, told me I could do it and to never give up. Joining run clubs through Nike helped me to improve my technique, speed and gave me the opportunity to listen and take advice from other experienced runners. Apart from running I have also developed a passion for fitness and have since tried several different types of Intense exercises including High Intensity Training like Barry’s Bootcamp, Project Fit and Nike Training Club.